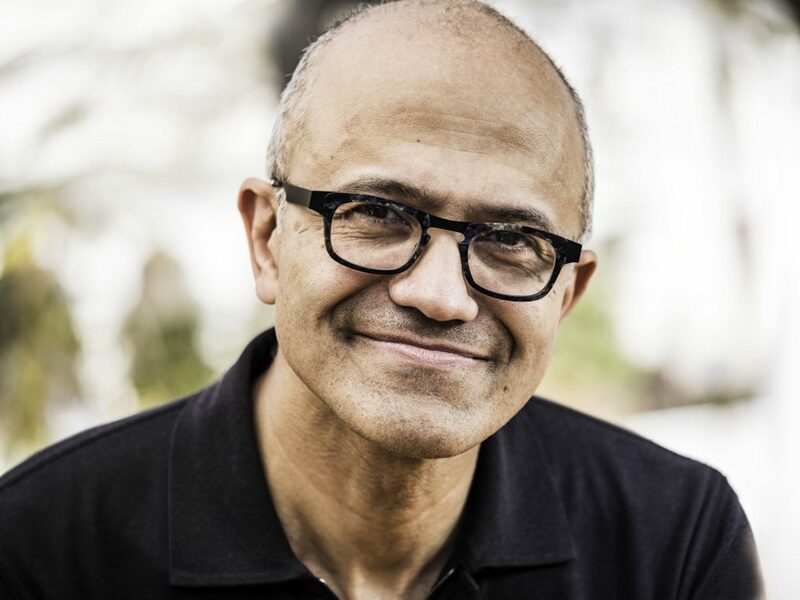 Satya Nadella began his prolific career at Microsoft in 1992. At only 25 years of age, Nadella quickly demonstrated his commitment to learning when, despite already having a master’s degree in computer science from the University of Wisconsin – Milwaukee, he chose to commute each weekend to Chicago to complete his MBA at the University of Chicago’s Booth School of Business. He traveled between Washington and Chicago for many years, eventually earning his degree in 1997. Quickly rising through the ranks, Nadella became vice president of Microsoft bCentral in 1999, leading the web services for small businesses. Continuing his rise within the organization, Nadella became the corporate VP of Microsoft Business Solutions in 2001 where he was responsible for developing software to handle business-process management for small and midsize businesses. Continuing his tenure at Microsoft, Nadella became the senior VP of Microsoft Online Services in 2007, where he oversaw the Bing search engine, Microsoft Office programs and Xbox Live. And he wasn’t done yet. In 2011, Nadella was promoted to president of the Server and Tools Division at Microsoft. It was in this role that he was responsible for the strategy, engineering, marketing and product development for Microsoft’s server and cloud computing efforts for business customers. After 22 years working in different departments of Microsoft, through many iterations of technology, learning the company inside and out, Satya Nadella was named the CEO in February of 2014. Following, you can see his professional career highlights in a one-page resume and use it as an inspiration for updating yours. Except for a brief stint at Sun Microsystems right after graduation, Nadella spent his entire career at Microsoft, and there are a few things everyone could learn from his rise to CEO. By moving around within Microsoft, Nadella was always learning by working with different divisions of the organization. There’s a lot to learn from taking on different challenges and seizing opportunities within the same company. It allows you to understand the overall processes and culture at the company, so you can focus on learning a new job and new skills, making you a more dynamic and well-rounded leader. Nadella teaches this practice, encouraging Microsoft to be a “learn-it-all” company instead of a “know-it-all” company. The idea is that if the company, or its employees know everything, then they are not continuing to learn and grow, potentially becoming stagnant and falling behind. However, the company or people who are willing to become students and learn as much as possible will ultimately be better because they continue to change and grow as technologies and processes change. If you apply this mindset to your life and your career, you will always be growing and adapting professionally and personally. In turn, this will make you better at everything you do. To lead different divisions, Nadella also had to evolve based on the teams he worked with and the divisions he was tasked to lead. The technology was changing rapidly at Microsoft during the 22 years he was with Microsoft before becoming CEO, and Nadella had to continue evolving to keep up with the new technologies. An important takeaway from Nadella’s rise to the top is that you need to continue reinventing yourself to grow and evolve with a company. As you employ the continuous process of learning, you will also need to change your mindset, objectives and processes as they grow and evolve. If you demonstrate a willingness to reinvent yourself, you will be noticed and sought after for promotions, and your loyalty will not be overlooked. After all, if you don’t continue to change and adapt, you could be left behind. With Nadella’s experience in the software technology space and his knowledge of the organization, he was an obvious choice to become Microsoft’s CEO in 2014. Nobody knew Microsoft consumers better than Nadella, who was with the company for 22 years. This showcases the benefits of immersing yourself into a single company or industry — to learn the ins and outs of the consumer journey, their needs and desires — to deliver the best possible solution. If you’re looking to get that big promotion or simply land a job at your dream company, you need to learn as much as you can about the key consumers, so you can add the most value to the organization. Nadella speaks a lot about the importance of having empathy for the consumer, to be able to put yourselves in their shoes and understand what drives them, their goals and their needs. When you are able to demonstrate empathy, you can deliver to your consumers and become a great leader to your employees. There’s a lot to learn from Satya Nadella’s prolific career at Microsoft. If you follow these three core principles in your life and career, you will never stop learning and growing, which will become your critical differentiators on your path to success. - Improving the job application process and creating a bridge between employers/recruiters and job seekers. - New trends and technologies especially within Digital Marketing, SEO, Email Marketing, etc. - Biographies of people I admire (such as Phil Knight, Elon Musk, Steve Jobs). - Running and its benefits for the mind and body. You can read some of my writing on Novorésumé’s Career Blog.